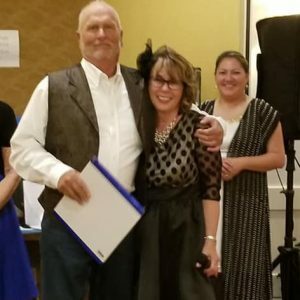 Fishing Guide Bill McBurney is most at home when he is on the water. before anyone even sees them. An Unforgettable Lake Powell Experience. Join Us for an Unforgettable Lake Powell Fishing Adventure! Best time of the year for fishing Lake Powell... All species can be caught year -round, but the water temps on the lake set the consistency for limits. For the largemouth and small mouth angler the action picks up in the Spring (weather permitting due to wind or rain). In the Spring many bass fishing tournaments begin lake wide at this Quarry. April-May are excellent for all bass and at times walleye too. Crappie, Bluegill and Catfish fishing available upon request. 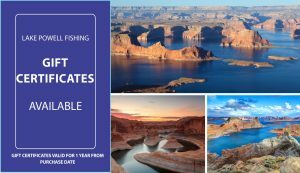 *Book your Lake Powell guided fishing charter for 2019! Book your Lake Powell Fishing Adventure! Get the latest on what's happening at Lake Powell ... Sign-up for our Newsletter! And please feel free to contact us anytime!